Pamplin Media Group - New review, audit to ask: Who's watching Unity? New review, audit to ask: Who's watching Unity? County investigating why own employee's safety concerns were ignored about mental health facility. Top Multnomah County administrators have launched an audit into how a staffer's warnings of patient abuse and neglect at a local mental health crisis center were ignored and muzzled by his county superiors, adding to the controversy swirling around the Unity Center for Behavioral Health. On July 31, veteran Multnomah County mental health investigator Greg Monaco retired after more than 30 years in his post — and went public with his concerns about the facility in the Portland Tribune on Aug. 7. Monaco's public revelations — including evidence that a complaint by Unity's director caused his bosses to forbid him from raising issues to the center's management — came on the heels of a damning state report on the facility that verified Monaco's concerns about safety, abuse, mismanagement and neglect. The county is designated by the state to be the local mental health authority. But instead of taking action when Monaco raised the concerns early last year, his managers told him to stop advocating directly for the patients and workers at Unity — while making clear to him the managers had no plans to do so themselves, according to county emails. Now that the state report has confirmed Monaco's concerns about the Legacy-run facility in a very public way, top county managers are trying to figure out how that happened and why. "The Oregon Health Authority and a retired Multnomah County employee have surfaced issues with the Unity Center for Behavioral Health," county Communications Director Julie Sullivan-Springhetti told the Tribune in an email on Monday morning. "The County takes these concerns very seriously and has launched an audit of the County's own processes and procedures for accepting, communicating and dealing with complaints at the facility since it opened." 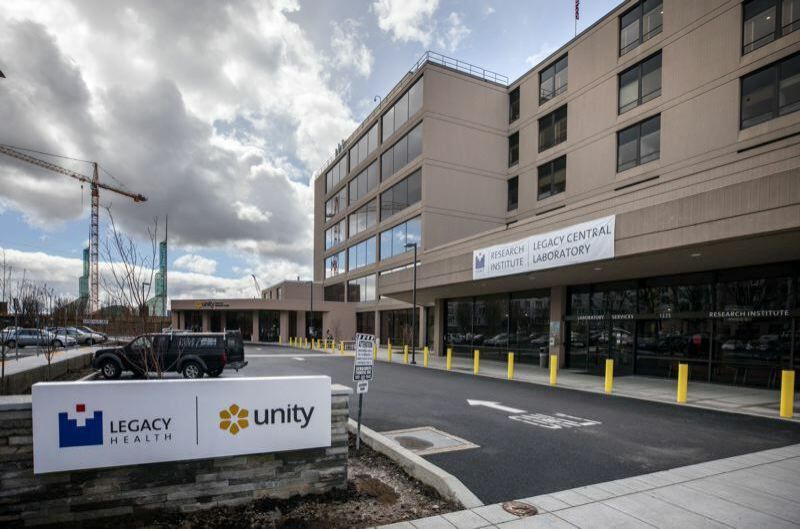 Legacy Health, meanwhile, last week invited local reporters to take brief tours of vacant parts of Unity and hear the company's account of improvements it is making. "We care very deeply about our patients and our employees, and their safety and security is our No. 1 priority," said Trent Green, the president of Legacy Emanuel who holds the same position at Unity. Green's comments were in response to the Oregon Health Authority report. It was initiated in response to Legacy employee complaints, including that the center is a "hell hole." The report attributed a patient death to neglect and found scant management follow-up at Unity to instances of patient-on-patient sexual assaults, as well as poor policies, inadequate training and numerous hazards in the facility that were resulting in patient harm. It's unclear now whether the just-announced county audit into why the state, not the county, took action, will result in discipline or even firings at the county's Mental Health and Addiction Services Division. The new review, combined with an independent audit into the department already launched by elected County Auditor Steve March, promises to shed light on a question that some mental health advocates have been raising for months: Who's watching Unity? "It just seemed like a cavalcade of turning a blind eye to this," Monaco said. The newly retired investigator said top county mental health officials have tolerated a complete absence of protocol, guidelines and training to ensure abuse complaints are handled. "People didn't know to whom to report things, because nobody really has responsibility for doing anything. And they have abdicated oversight to the corporation." Monaco's concerns had not been a secret at Multnomah County. He frequently copied his supervisors and elected commissioners in emails about his concerns. But in an interview on Aug. 4, more than 24 hours after the Tribune shared Monaco's concerns with the county, mental health Director David Hidalgo said he was unaware of the circumstances surrounding Monaco's complaint, including Monaco's being forbidden to voice patient safety concerns to Unity. "Did that happen? Did that not happen? I have no idea," Hidalgo said. County Commissioner Sharon Meieran, the emergency room doctor who advocated for setting up Unity, on Sunday told the Tribune that she is very concerned about the state report and Monaco's story, and has "additional questions" she intends to pursue. Sullivan-Springhetti of the county stressed a facility like Unity is needed. The county will share its findings with the community. "Our community has a profound need for immediate 24-hour psychiatric care for people experiencing a mental health crisis," the statement said. 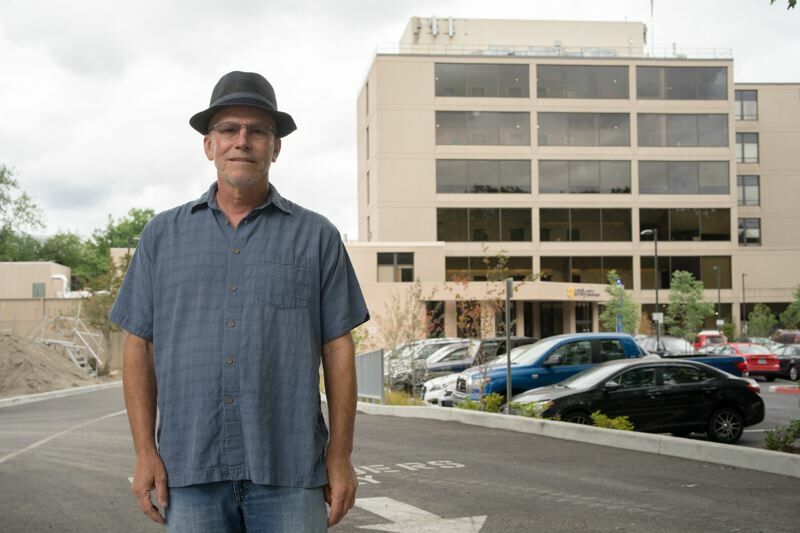 Unity Center opened in Northeast Portland in January 2017 as a 24-hour hospital providing mental health emergency services for adults and adolescents, with about 450 employees. Overseen by Legacy Health, it was set up in conjunction with Adventist Health, Kaiser Permanente, and Oregon Health & Science University to save the hospitals money and give police and hospitals a place to take people with severe behavioral health problems, including the homeless. Doctors and health system executives had advocated for the facility for years, saying the mentally ill were being warehoused in emergency rooms without appropriate care. But when it began, Monaco, the Multnomah County mental health investigator, immediately began hearing that problems at Unity were worse even than the individual psychiatric wards that the new facility had replaced. And, he said, nurses tell him that despite their many complaints to management, things have not gotten better. In fact, he hears that Unity management is conducting a "witch hunt" to find out who has been sharing information with him, just as some employees already have sued the company saying they were terminated for raising safety concerns. "Anybody who wanted to report anything was stifled," Monaco said. "Staff there was stifled and I was stifled." Trent Green, president of Legacy Emanuel, declined to comment on why Chris Farentinos, the other Legacy executive who oversees Unity, complained about Monaco. He said the company is making changes to address the state's concerns, and he rejected any notion that the culture at Unity had encouraged retaliation against employees who report safety concerns. "We have a culture of safety," he said.